3 Out of 10 Audits are Deficient! Download our Free eBook to Avoid Recurring Deficiencies and Perform Better Audits! 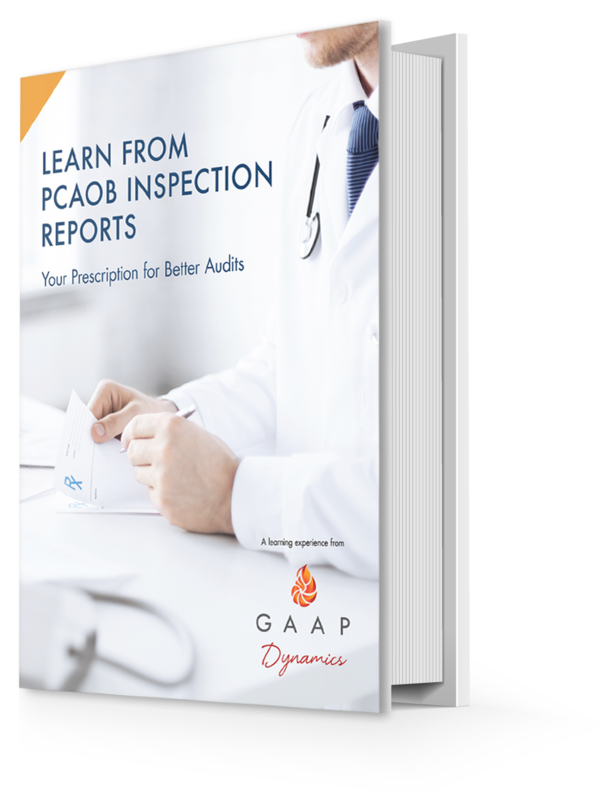 We’ve analyzed the PCAOB inspection reports of the annually inspected firms over the past seven years. Why? Because we believe analyzing trends in deficiency rates and diagnosing recurring audit deficiencies can help improve your firm's audit training and, ultimately the quality of your team's audits! Click here for a preview of the Preface, Executive Summary and Table of Contents. GAAP Dynamics is registered with the National Association of State Boards of Accountancy (NASBA) as a sponsor of continuing professional education on the National Registry of CPE Sponsors. State boards of accountancy have final authority on the acceptance of individual courses for CPE credit. Complaints regarding registered sponsors may be submitted to the National Registry of CPE Sponsors through its website:www.nasbaregistry.org.